I am fortunate that over the decades, my personal Disney library of books has grown to fill multiple shelves. It seems that more new Disney related books are coming out every month and it gets quite overwhelming. Dave Shute recently suggested that once a month I select a book related to Walt Disney World that is either in print or easily attainable so that fans of the Florida project might consider expanding their own personal libraries. 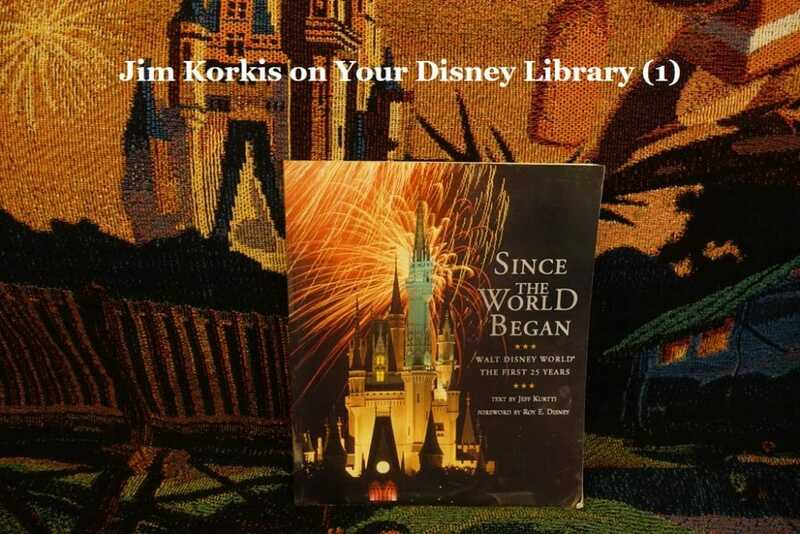 Today, I am going to start with a book that is an important foundation for any WDW book library: Since The World Began – Walt Disney World The First 25 Years by Jeff Kurtti that was published on October 1, 1996 by Disney Editions and is 192 pages long. There is both a hardcover and paperback edition and I would strongly recommend you purchase the hardcover edition because it will better survive constant use. While it has been out of print for nearly twenty years, it is still available at very reasonable prices on Amazon.com here. Why would I strongly recommend a book that is twenty years out of date? It was originally rushed into print as part of the 25th anniversary celebration of the popular Florida vacation destination. Disney’s Animal Kingdom had just opened six months earlier. The book is long overdue to be expanded and updated. That being said, the information about the history, planning, design, building and philosophy of Walt Disney World is still accurate and valuable, with some of that material appearing nowhere else. The book also offers some glimpses of things that were announced but never built. 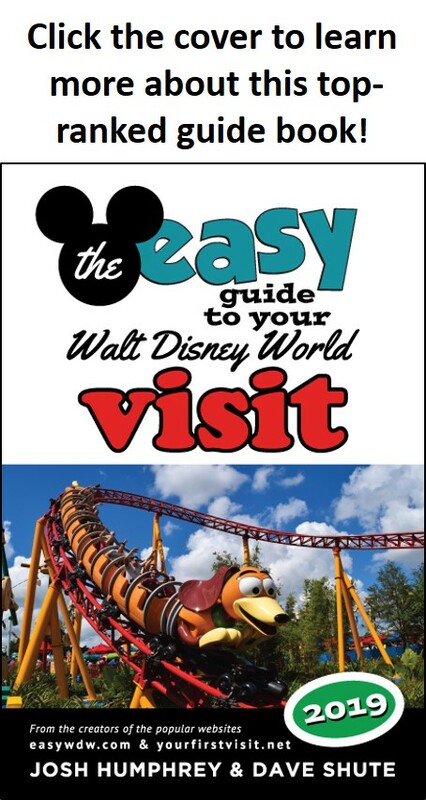 Do not use this book for vacation planning (use The easy Guide instead–Dave), but rather as a wonderful nostalgic time travel trip to a Walt Disney World that many remember and miss, as well as accurate documentation on things that no longer exist. Author Jeff Kurtti is an acknowledged Disney historian with over two dozen books to his credit and countless articles. Disney fans will instantly recognize his name from his informative and accurate articles on all things Disney that have appeared in magazines and websites. He worked for Walt Disney Imagineering and then in the Disney Corporate Special Projects department. He was a creative director, content consultant and media producer for the Walt Disney Family Museum in its earliest days. He continues to consult with the Disney company on a variety of projects including producing documentaries. He knows his stuff and has a clear and accessible writing style. In fact, he has a book scheduled for publication in April 2008 entitled Travels with Walt Disney: A Photographic Voyage Around the World that I have already pre-ordered sight unseen. Jeff presents the story of Walt Disney World in a somewhat chronological order in eight well written chapters that are filled with many interesting sidebars so as not to disrupt the main narrative, and fairly large colorful photos, including some appearing nowhere else. The foreword is by Roy E. Disney, then vice chairman of the Walt Disney Company, who was someone Jeff worked closely with on many different projects. The text only occasionally displays the sanitized “Disney approved narrative” so common in recent books from Disney Editions trying to protect a brand image. Obviously, Jeff was constrained by the pre-determined length but is clever enough to pack in more historical details, anecdotes, and insights than books twice this size. Jeff’s connections with Imagineers and unlimited access to the Disney Archives as well as other personal resources provides a perspective lacking in some other books. The book devotes a full chapter to each of the theme parks but Jeff also includes sidebars on resorts, background information on behind-the-scenes topics like Reedy Creek, and even squeezes in two pages about the Disney Cruise Line. Personally, despite its age I still use this book frequently when I am writing articles usually to help verify information or to give me ideas for topics. So, as an inexpensive and valuable resource, I strongly recommend adding this book to your personal Disney library. Thanks, Jim! Since the World Began is available on Amazon here. And come back next Friday for more from Jim Korkis!